Join the Great North American Test Drive. The heritage of the Gator product began in 1987 when John Deere released the AMT (All Materials Transport), a new family of small all-terrain utility vehicles paving the way for all our current utility vehicle models. Today, we boast the greatest Gator model offering in John Deere history, and in declaring 2019 The Year of the Gator, John Deere has launched The Great North American Test Drive. Hop on board and explore with us as John Deere tests the Gator™ three-passenger XUV’s across North America’s most rugged terrain. Watch all 'The Great North American Test Drive' Videos. Explore the 2019 Gator Lineup. 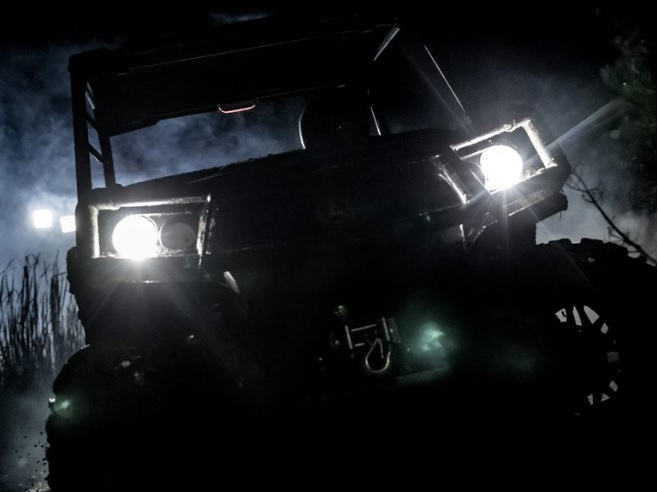 Scroll through the resources below to learn more about our greatest-ever lineup of Gator models, including attachments, current offers, financing, and the new 2019 XUV590M Special Edition Black Gator. New 2019 XUV590M Special Edition Black. Featuring a unique black and silver color and over 11 different standard options, this Gator™ UTV stands out from the rest. Available for a limited time only. Contact your nearest Huron Tractor store for more information and to schedule your test drive!